Discover a handpicked collection of traditional wooden toys and gifts for children. 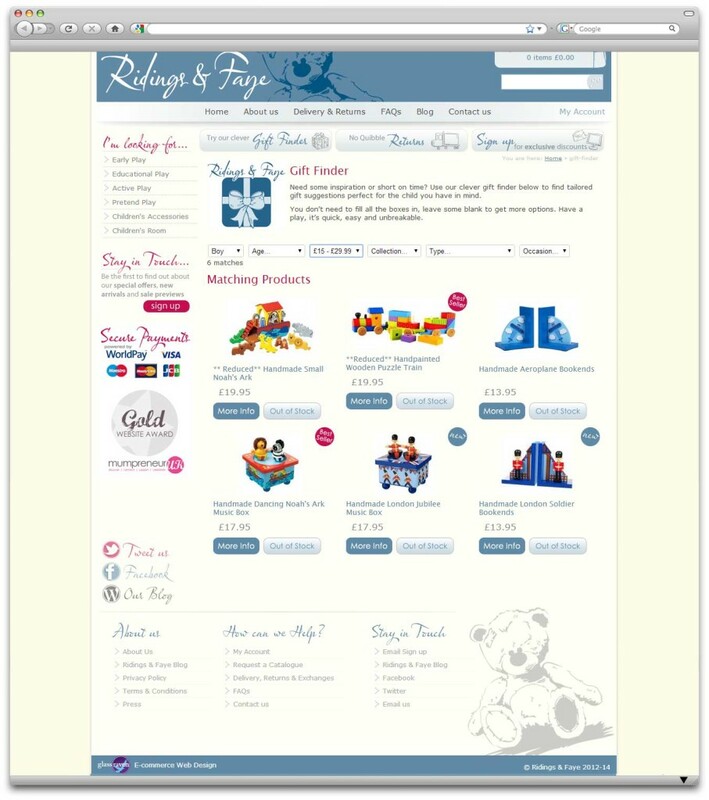 Ridings and Faye’s provide an inspiring and affordable collection of toys and gifts for children to anyone with a baby, toddler or pre-school child in their life. Buy online or at retail outlets in Altrincham and Macclesfield. 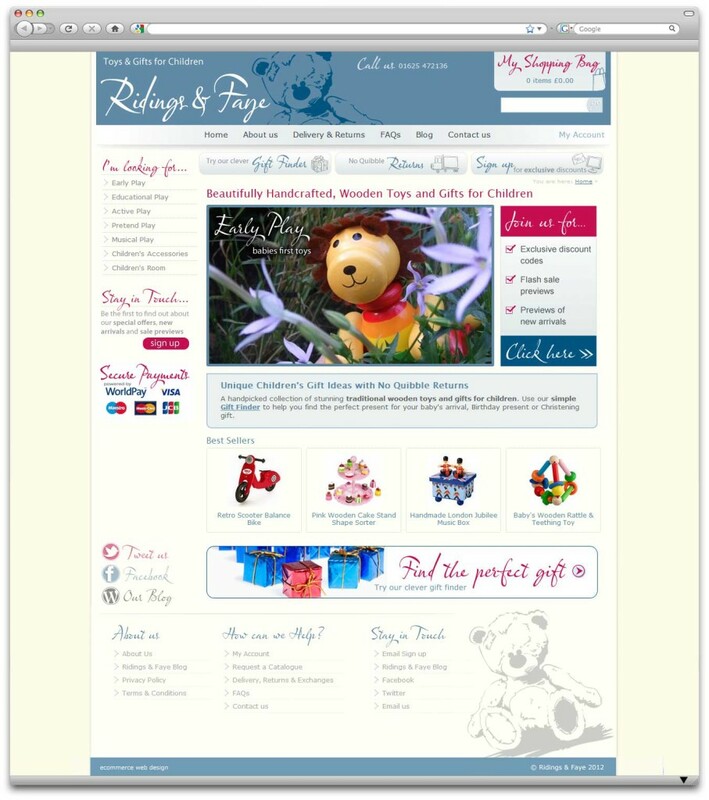 Ridings and Faye came to us looking for an easy to use ecommerce system to take their catalogue online and complement the various events they were showcasing their product range. Along with the totally bespoke layout and design of this eCommerce store we developed a custom built Gift Finder which utilised the product tagging system found within the gCart ecommerce system. This allows customers to easily filter the products in the store based on age, gender, occasion, price and collection to help them find the perfect gift. The homepage is kept fresh and up to date using the top products feature, and customers are encouraged to sign up to receive mailings through the embedded Mailchimp signup form.